The Warehouse Rentals and Supplies is your best source for quality abrasive blasting and painting equipment, as well as replacement parts and supplies. Our unbeatable combination of integrity, excellent customer service, large inventory and competitive pricing is the cornerstone of our business. With a highly knowledgeable and friendly sales staff that has more than 150 years of collective industry experience and puts the customers’ needs above everything else, we’re able to recommend the most popular brands of equipment at the most competitive prices. We’ve been in business for more than 20 years, and are headquartered in Greensburg, PA, near Pittsburgh. We also have branches in Portsmouth, VA (near Norfolk), and Blue Grass, IA (near Davenport). Those locations give us a strong presence in the Northeast, on the Mid-Atlantic Coast and in the Midwest. You’re welcome to visit our facilities anytime during regular business hours. If you need equipment or supplies unexpectedly after-hours or on the weekend, we’ll do whatever we can to assist you. 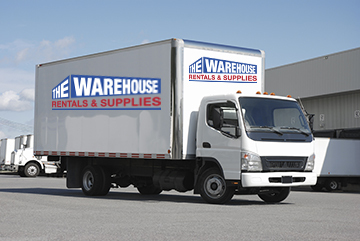 Because we operate our own fleet of trucks, we’re able to make deliveries at times that best suit your schedule. When you need expert advice along with superior equipment delivered reliably and at fair prices, there’s only one place to call.